“I don’t feel guilty. I don’t understand the substance of this accusation. I would ask [the prosecution] to explain what actions I took specifically to incite hatred,” Sharina said at the first session of her trial on Nov. 2. “Acting in a professional capacity, she purchased and placed on shelves accessible to public the books [that are included in the official list of extremist materials],” the prosecutor replied. “And which of these [two things] constitutes a crime?” Sharina asked again. The 59-year-old librarian looked confident, but exhausted. By the time of her trial, Sharina had spent more than a year under house arrest. If convicted, she could be sentenced to a decade in prison, because she faces additional charges of embezzlement, brought while she was already under house arrest. By scrutinizing libraries (many of which do have extremist books on their shelves), the police can demonstrate that they’re doing their jobs, without the dangers of tackling real crimes. “Basically, it’s a way of keeping up the act,” Alexander Verkhovsky, director of Moscow's SOVA center — a group that monitors abuses of anti-extremism legislation — told The Moscow Times. Sharina’s case is unique: it’s the first of its kind that involves actual criminal charges. Usually, police efforts to “keep up the act” lead to inspections that result in official warnings, fines, and administrative charges. But Sharina was unlucky — she got caught in the crossfire and now the authorities are making an example of her in the campaign to weed out extremism in libraries. 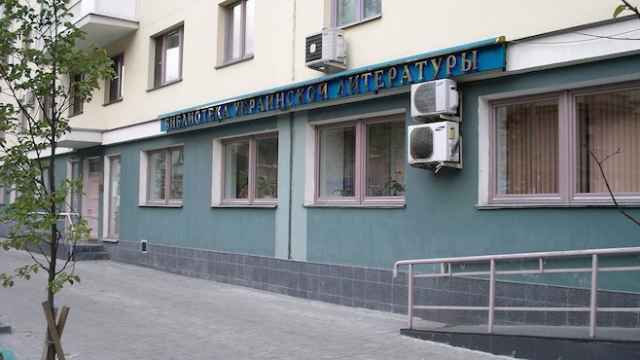 The crackdown on the Ukrainian library started six years ago. In 2010, the police opened the first criminal case against Sharina for allegedly distributing extremist materials: books by the Ukrainian nationalist Dmitro Korchinsky. The case was closed within a year, and everyone was sure the director dodged a bullet. But there were new charges in 2015, and this time police raided and searched the library. Then they arrested Sharina and brought criminal charges. Sharina’s case — and the scrutiny that libraries in Russia face today — is part of the country’s broader campaign against extremism, which has included blocking websites, banning books, and prosecuting people for content they post and repost on social networks. Most of all, the authorities have set their sights on materials that concern Ukraine, Crimea, and the Russian government. Ninety percent of all “extremist” convictions in 2015 involved Internet activities, according to SOVA. More than half of these cases involved VKontakte, Russia’s most popular social network. Simply put, human rights advocates say, it’s just easier for police to look for extremists online than it is to chase them on the streets. Hassling libraries is also relatively painless, as Sharina’s case shows. Trying to observe both state regulations and the new laws against extremism, libraries find themselves between a rock and a hard place, Verkhovsky says. 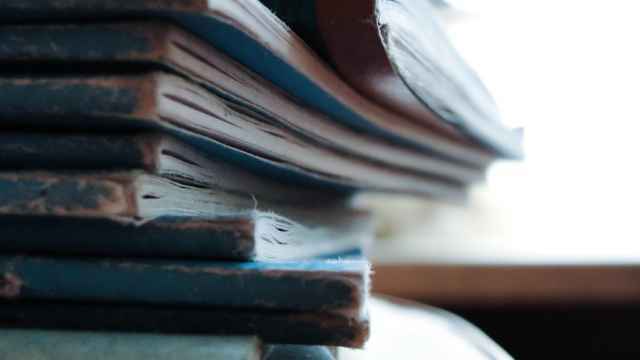 Prosecutors say having extremist books on a library’s shelves constitutes the distribution of illegal materials, but older government regulations don’t allow libraries to dispose of books officially until they’re worn out, damaged, or lost. This is why you can still find plenty of banned books on library shelves around Russia today. 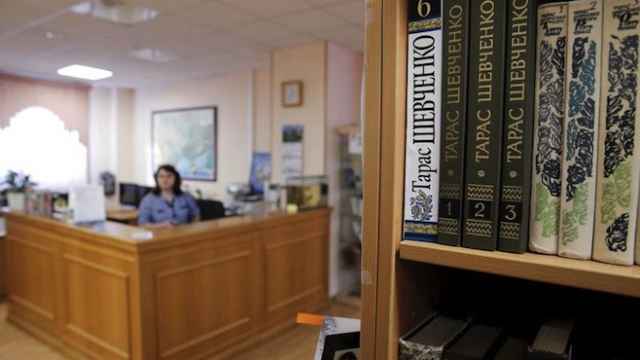 Some librarians at smaller facilities in Russia simply discard their banned books by declaring them to be worn out. This works at small libraries, but larger institutions can’t get away with this trick. 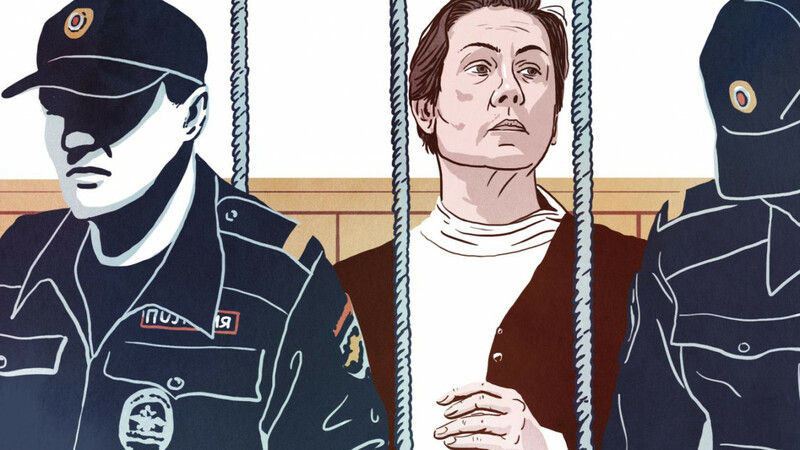 The crackdown on Moscow’s State Library of Ukrainian Literature and its director came as Russian-Ukrainian relations were getting especially bad, and Russia was in the midst of a large-scale anti-Ukrainian campaign, according to a statement by the Memorial human rights center last November, when the organization declared Sharina to be a political prisoner. Law enforcement in Russia rarely backs down. Once the police actually launch a case, they usually see it through, Davidis says. “If they start admitting mistakes, they will have to blame someone for keeping a person under arrest, providing false evidence, imposing an incorrect charge. No one wants to be blamed for it; that’s why the case goes forward, in spite of everything,” he said. Verkhovsky hopes that Sharina’s case is the exception, and other librarians will not face such heavy persecution. “But these days, you never know,” he added. Sharina’s next court hearing is scheduled for Wednesday, Nov. 23.